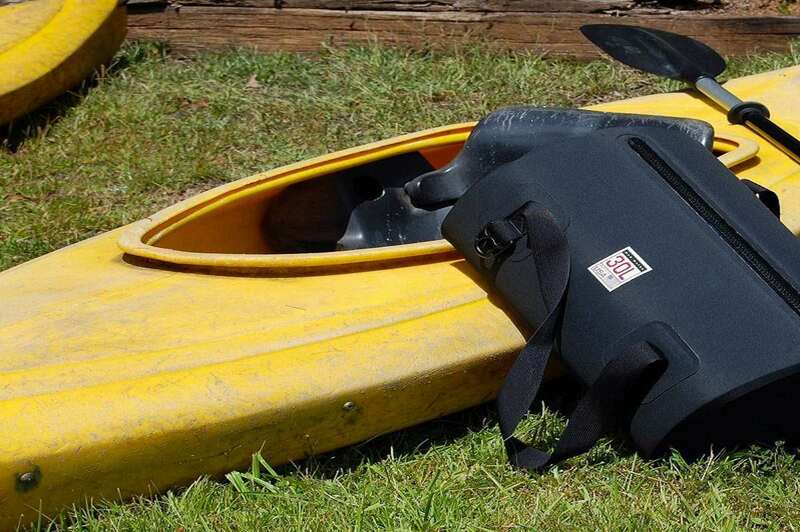 Mad Water makes companions for fishing trips, kayak trips, rafting trips, and trips to Hawaii, where it invariably rains the entire week I'm there. And never harder than when I'm watching my bag sit on an open luggage rack outside the airplane window when I land. And then again--again!--before I take off to go home. 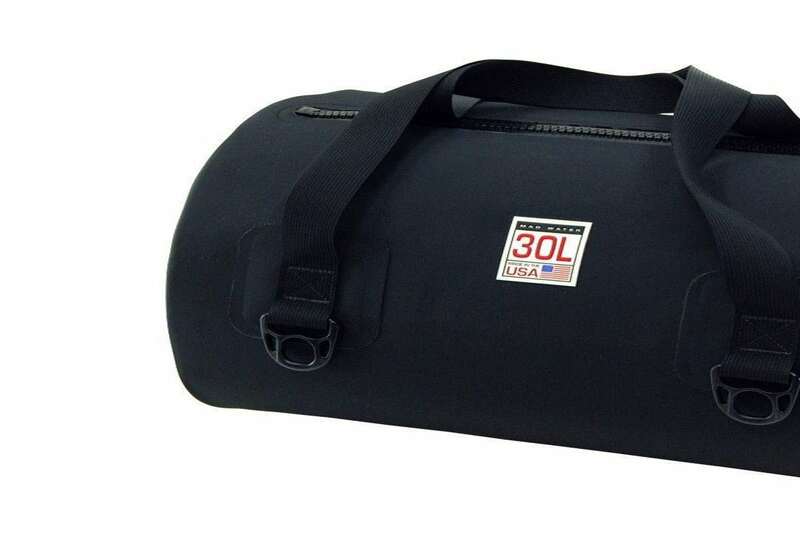 The pictured Mad Water waterproof bag is the smallest in their USA Duffel line at 30L--you can grab 65L and 90L sizes here. It promises to be "truly waterproof and submersible to 15 feet," thanks to a body of RF-welded, double-coated, PVC-free polyurethane. Mad Water touts polyurethane's superiority to PVC on all counts that would matter to outdoorsmen and travelers. 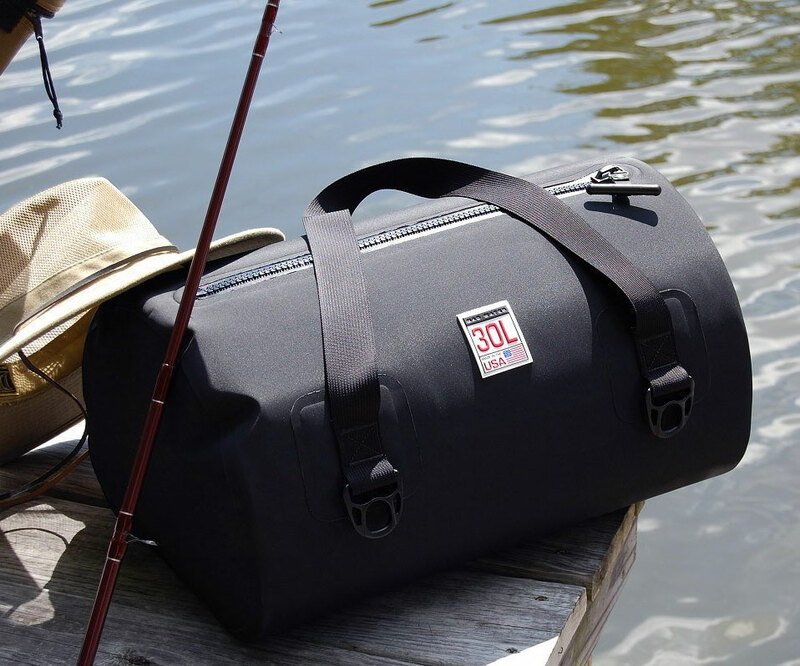 In addition to water infiltration, the duffel is resistant to: cold weather; direct sunlight; chemicals; cracking; and abrasions. It is also stronger overall, and more environmentally friendly than PVC. 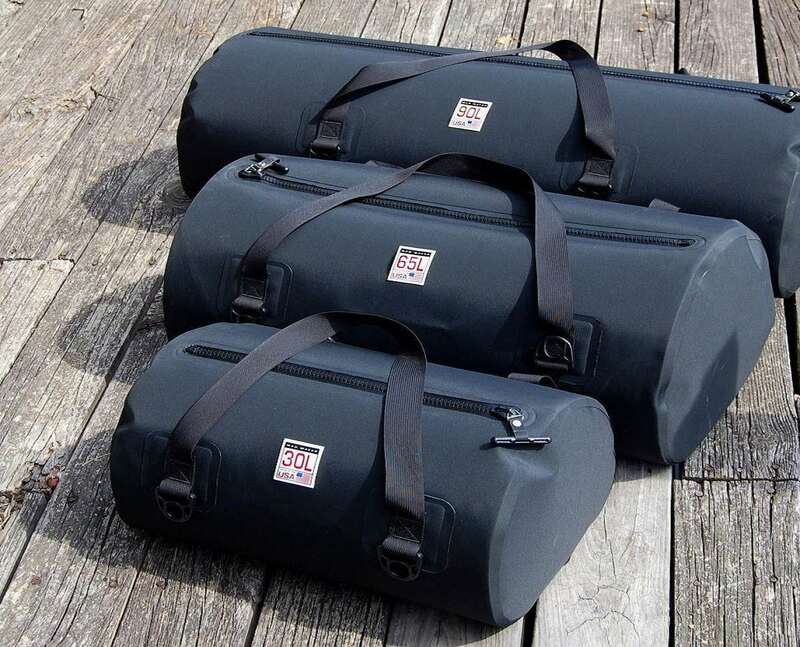 Complementing the USA Duffel's Mad Waterproof shell are YKK waterproof zippers and 1-1/2" wide nylon webbing handles long enough to double as backpack straps. Four heavy-duty d-rings facilitate tie-down in boats and truck beds, or on roof racks. Both the bags and their zippers are made in Georgia. The US, not the post-Soviet, state.